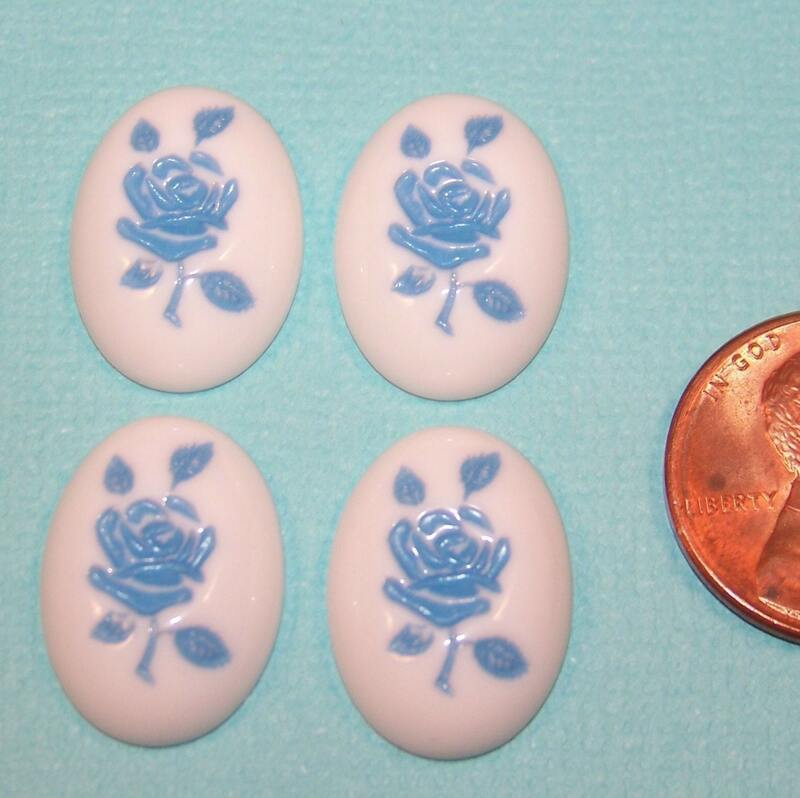 These vintage plastic cabochons have and impressed rose design done in a pretty blue color. These measure 18mm X 13mm. You will receive 4 pieces. Super adorable and great service! Lovely little cabochons, thank you!